The problem is a fungus, often referred to as vinca sudden death, that lives in the ground. Water from rain or sprinklers splashes spores from the fungus up onto the plants, where it grows and quickly kills the entire plant, often in as little as 48 hours. 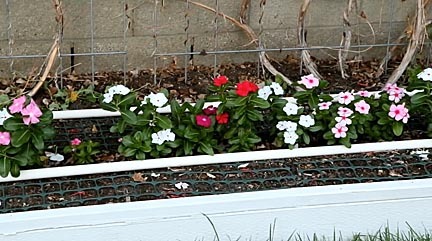 First, I mix a solution of one tablespoon of the fungicide Daconel in one gallon of water and use this solution to saturate the entire bed in which the vincas will be planted. 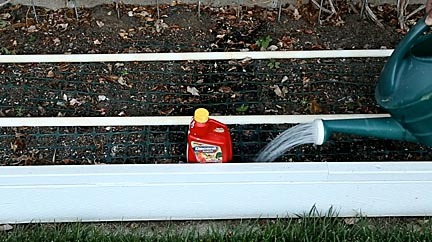 The application rate I used was two gallons of solution for every 15 square feet of bed. 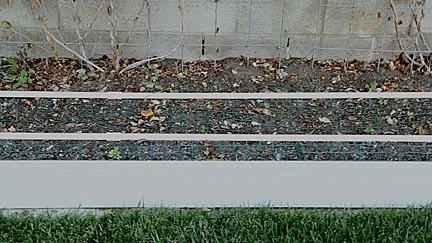 Next, using the same concentration I completely submersed the bedding plants including all top greenery in the solution. This kills off any vinca sudden death spores that may have gotten onto the plants before being purchased. Support the top growth when you lift them out so that the weight of the solution clinging to the leaves doesn't break off any stems. 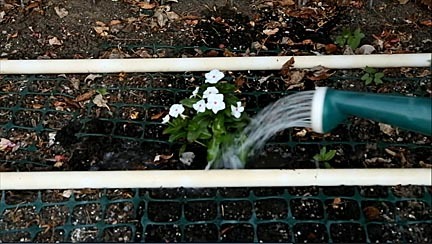 After transplanting the plants into the bed I water them and the surrounding soil with more solution to make sure any fungus spores brought to the surface during the planting process are killed. This is a one-time treatment. It's not necessary to use the solution on the bed again, at least until the following year. And that's it! This treatment completely eliminated the vinca sudden death fungus from a bed that had repeatedly been decimated by it many years in a row. After replanting the same bed using this technique I didn't lose a single plant. Four months later the bed is bursting with color. 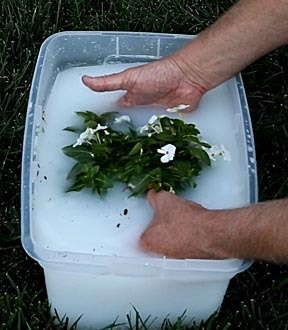 If you have a problem with vinca sudden death I hope you'll try this technique. I think you'll be happy with the results.